Isn’t it! It is a art installation by artists Elmgreen and Draget. The interior has shoes and bags that Prada donated for the piece. This is just out in the middle of no where??? How funny is this? It really is! It is a art installation by artists Elmgreen and Draget. The interior has shoes and bags that Prada donated for the piece. I can’t believe this is in the middle of nowhere!! Yeah….driving along and there is a little Prada building on the side of the road. It is a art installation by artists Elmgreen and Draget. The interior has shoes and bags that Prada donated for the piece. Brilliant shot! I definitely want to know more! Thanks so much! It is a art installation by artists Elmgreen and Draget. The interior has shoes and bags that Prada donated for the piece. Thank you! I had a feeling it had to be something other than an actual Prada retail outlet! Thanks for the wikipedia link, too! Isn’t it great?! It is a art installation by artists Elmgreen and Draget. The interior has shoes and bags that Prada donated for the piece. 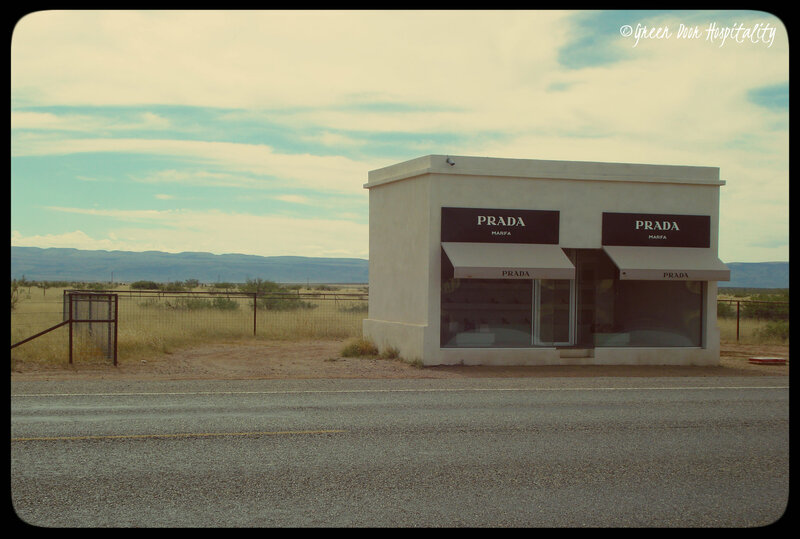 This entry was posted on January 29, 2014 by Jessica Romigh in Wordless Wednesday and tagged art installation, Elmgreen and Dragset, Marfa, Marfa art installation, Marfa Texas, photography, Prada, Texas, Valentine Texas, West Texas.